"I'm getting paid for this, right"
's birthday gift. Tenth year in a row, hurray, we did it! Rebecca's gotten into some funny (eheh) stuff lately, so a drawing of her silly clown self seemed appropriate for this year. Juggling by herself has been done before, though, so I thought how about adding a partner to do some 2-count passing? 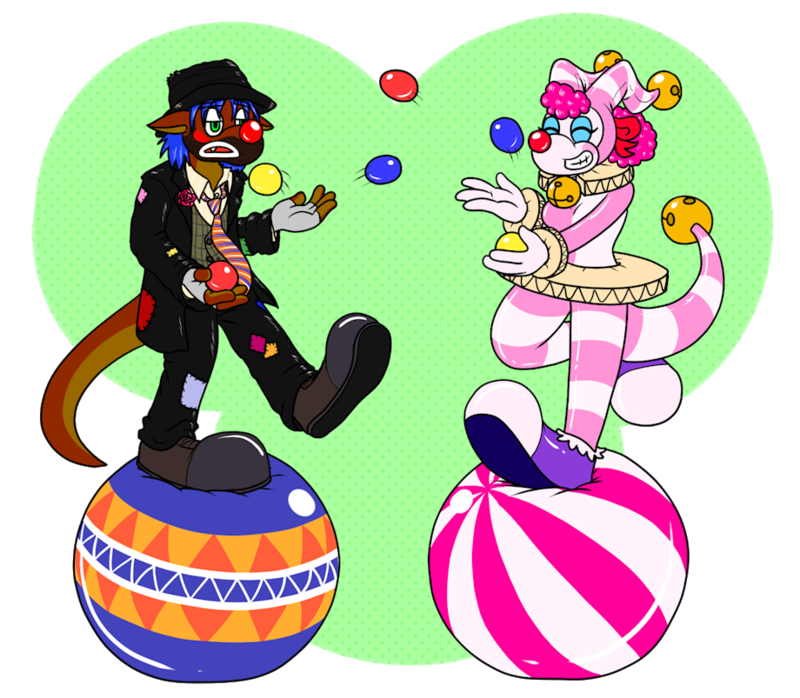 While I'm not super into the subject myself, I figured being a more gloomy tramp/hobo clown would be an interesting dichotomy from the bright, happy, jingly jester character. Being dour doesn't mean you can't fool around and have fun for someone on their special day, though!